Polish director Roman Polanski, in his American directing debut, delivered a chilling horror picture that dealt solely with the mind and not gore, special effects, with virtually zero blood. Not an easy feat for anything horror, and as a result many still don't accept this film. As is traditional with Polanski, the pacing is rather slow, and psychological emphasis is so heavy if it were water, it'd be strong enough to break through dams. Based on the novel by Ira Levin, the story focuses on Rosemary Woodhouse, along with her aspiring actor husband Guy. It's a tough world out there, especially when you're one of the millions seeking fame and fortune, as the two know all too well as Guy loses one part after the other and is worried he's doomed to commercial fame forever. The two are lucky to move into an upscale apartment (or think they are), until they find themselves next door to elderly, nosy neighbors. In the midst of dull evenings and minor arguments, Rosemary becomes pregnant...but what of her weird dream during the night of conception? The hollow, odd chants she keeps hearing come from the next door apartment? Her husband's sudden and coincidental success? Does all this mean that Rosemary's neighbors are sadistic devil worshippers out to take her child and offer it in a bizarre ritual sacrifice, or is it just a case of poor Rosemary losing her mind? 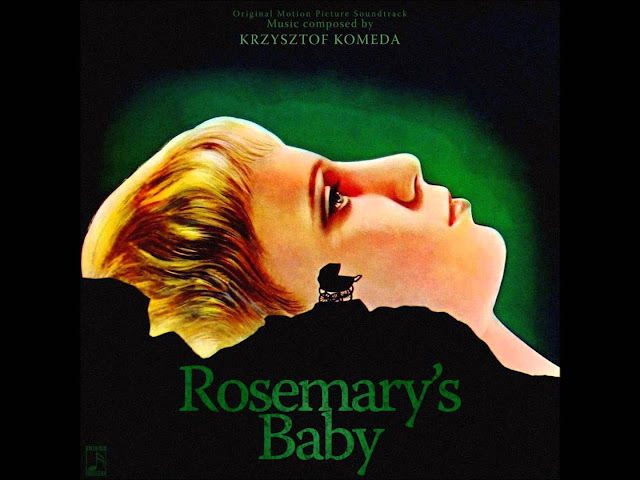 Following Polanski's usual style of embedding horror into what you don't see or know, Rosemary's Baby is told through the eyes of Rosemary. We only know what she sees, what she does and, like her, discover things as they unfold, left to our own speculations. 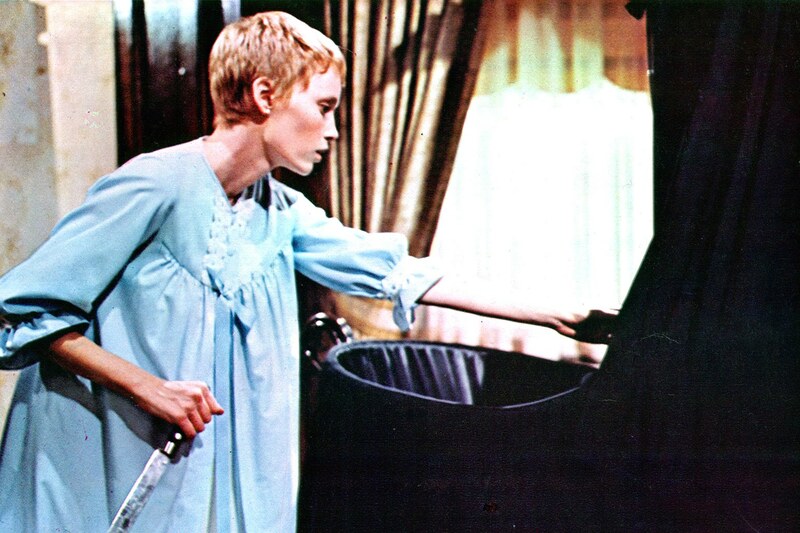 While Rosemary's Baby isn't a horror film with shocks and the like, there are a few mysterious deaths, deep paranoia, and extreme psychological tension. It's harrowing, claustrophobic, and beyond frustrating - a great rainbow of emotions for a horror junkie to feel. Mia Farrow really makes the fragile, spooked, dependant wife part effective. Cassavettes as Guy makes the role his own. Ruth Gordon, as the odd imposing Minnie, was so convincing she won an award for best supporting actress. No fault is found with any of the acting. It's a highly intelligent horror film that should be taken seriously, and as a result it won't ever age. From the beginning weird lullaby song sung by Mia Farrow to the ending acceptance that proves to be one of the scariest things offered, Rosemary's Baby is a pure class act that needs to be watched by every horror fan alive. It's hard to find many faults, but if I had to choose something, I'd say the pace is a bit slow for more modern audiences. Still, the movie wouldn't have been as effective if was anything but, as the slow ride only enhanced the slow meltdown toward suspicion and possible insanity. Directed by Roman Polanski, whose pregnant wife, the actress Sharon Tate, was in 1969 murdered by Charles Manson and his followers, who titled their death spree "Helter Skelter" after the 1968 song by The Beatles, whose leader, John Lennon, who would one day live (and in 1980 be murdered) in the Manhattan apartment building called The Dakota - where Rosemary's Baby had been filmed. The movie is very faithful to the book with some small differences but nothing major. The result was possibly the most faithful film adaptation ever made. It incorporates whole pages of the book's dialogue...It was not only Polanski's first Hollywood film but also the first one he made based on someone else's material; I'm not sure he realized he had the right to make changes. It's a tough one. The book is well-written although a little distant, but the movie brings the story to life so well and even sticks with most of the dialogue. The music score is one of the most disturbing and unsettling scores I own (I only listened to it once but with the satanic chanting, that was enough). I would call this one a tie.